Last week the dollar fell sharply against all major currencies. Both fundamental and technical indicators imply the trend could continue. When will the dollar find its bottom, and what should Americans do to protect the spending power of their savings? The dollar is down 8% against its global counterparts this year, with the poorest performance of any G10 currency. And the US dollar index is now sitting at its lowest point in over a year. First of all, the U.S. political climate is growing less favorable by the day. The Trump administration is continuing to wade through one controversy after another, and our Republican-led Congress is failing to deliver on expected reforms. Markets are becoming skeptical as to whether or not the favorable economic policies promised on the campaign trail will ever come to fruition. And the IMF just made matters worse by dropping its forecast for U.S. growth, based on the same suspicions. Meanwhile, central banking sentiments that should be helping push the dollar up are having little effect. Hampered growth and declining inflation are causing the Fed to rethink its previous agenda for the year: continuing to raise rates while winding down its balance sheet. Typically, this kind of policy decision would support the dollar. But instead, the dollar is continuing to fall steadily against major currencies like the euro, which is now at its highest level in comparison to the dollar since January 2015. The dollar isn’t just facing short-term hurdles. There are several reasons it could continue falling throughout the next year or longer. According to Athanasios Vamvakidis, global head of G10 FX strategy at Bank of America Merrill Lynch, the dollar is notably inflated past its true value. “The currency remains overvalued by about 10 percent compared with its long-term equilibrium and about 12 percent above its 20-year average in real effective term,” Vamvakidis says. And recent data shows market makers agree… For the first time in over a year, futures traders are betting big against the dollar, anticipating it will decline further in the months ahead. On the flip side, traders are optimistic about other currencies overtaking the dollar, especially the euro. Recent data shows speculative traders are more bullish toward the dollar’s rival currencies than any time in the past six years. Applied to Cohn, …his appointment to the central bank’s top spot would likely signal to markets that the Administration shares Cohn’s view that a weak dollar is in the best interests of the U.S., and worse, that it’s the Administration’s policy. To be blunt, if Trump embraces the discredited FDR, Nixon, Carter, Bush (43) policies in favor of a weak currency, his economic program will fail…. What Rises When the Dollar Falls? 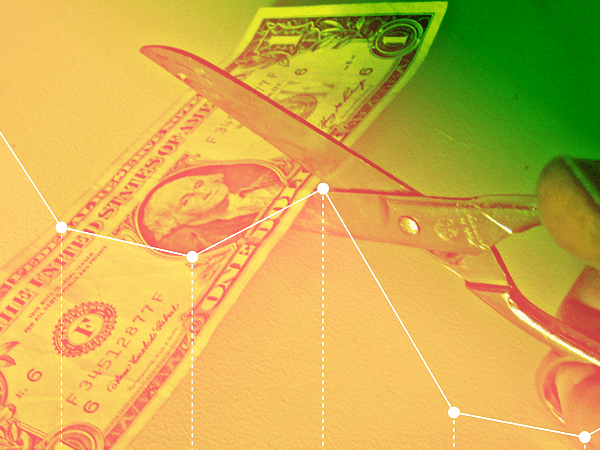 With the long-term prognosis for the dollar looking grim, it’s crucial for savers to find sheltering assets to protect their wealth — assets that genuinely appreciates in value when the dollar dips. One of the most reliable asset classes fitting that requirement is precious metals. They hold a provable inverse relationship to the dollar, meaning they usually rise when the dollar falls. But most importantly, the inverse relationship between the dollar and precious metals is fundamentally justified. For example, under a falling dollar, other currencies gain strength. As a result, demand for commodities goes up, including demand for gold, which drives gold prices higher. 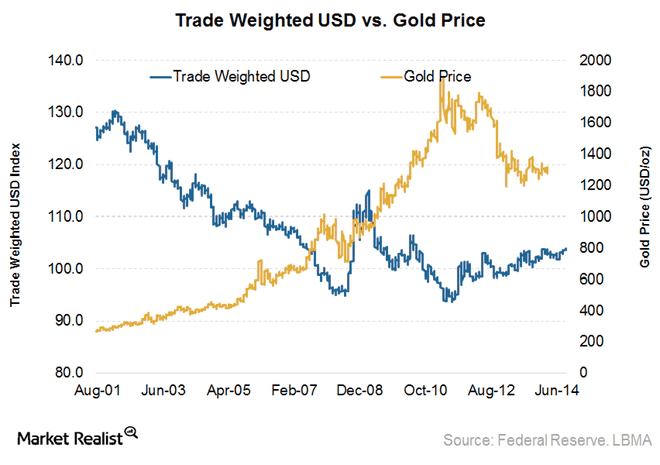 Additionally, gold is a standout favorite for those seeking safe haven from falling dollar value. So when the dollar begins to fall, it almost always spurs a large influx of new gold buying, which again pushes prices upward. If you’re in search of an asset to preserve your wealth as the dollar enters increasingly troubled waters, physical precious metals may be your best option.